Father’s day is a unique and special day for dads all over the world. This is the time where dads and kids steps out of the norm to make their dad feels special, appreciated and loved. Father’s day is celebrated all over the world for hundreds of years now. This year this special day for dad falls on June 21 (every third Sunday of June). So have you already marked your calendar? With just days away before father’s day, it is time for you to plan unique and fun activities where your dad can enjoy his special day and make lasting memories. Here are some activities you might consider to make a simple but meaningful father’s day celebration. You have probably tried to make a Mother’s day recipe for your mom last Mother’s day celebration. But this Father’s day is different… eating out is a better idea to celebrate the Father’s day. Make advance reservation for this day in the best local restaurant in town or in your dad’s favorite restaurant. Invite your relatives and your dad’s closest friends to have dinner together and order your dad’s favorite meals. Ideally, to make it more special, take your dad to the restaurant blindfolded. You’ll never know how surprise your dad will get once he sees relatives and friends he has never seen for such a long time. Father’s day is naturally a family event. Use this day to gather every member of the family for a fun day. You can organize a barbeque party or a picnic. It actually depends how your family describes the idea of fun. If you prefer staying at home, make sure to give your dad this day off. Never let him do the chores he usually does. You can switch roles to make it more fun. You can also make this day a movie day, watch your dad’s favorite movies. For dinner you can cook homemade steak with best side dishes for the whole family. Eat over a dim light or with a lighted candle. Make you dinner a family date. If your dad loves the outdoors, you can take the whole family for a road trip. Think about including other dads in your life like your husbands, grandpas, uncles, soon-to-be dad and brothers in this road trip. 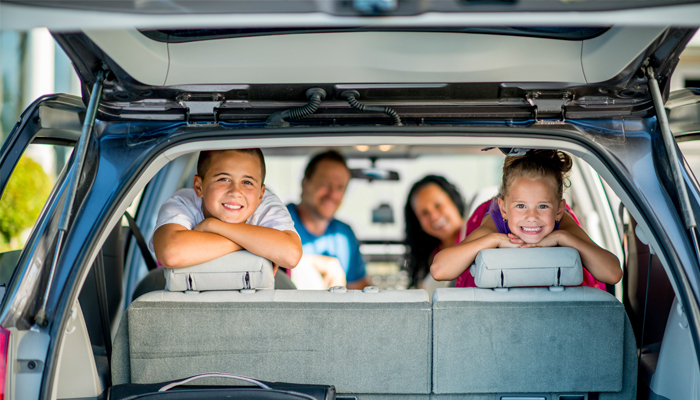 Check fleets from a transportation service and rent a family-friendly SUV that can give you a comfortable travel. Most dads love fishing, you can spend half of this day fishing. You can bring kid-friendly fishing rods if you have kids with you. Then you can enjoy a picnic lunch. And to surprise you dad during this trip, you can give him a new fishing rod as a Father’s day present. You can spend the other half of the day, watching your dad’s favorite sports play. You can buy ticket in advance so you can surprise your dad with a Father’s Day card with a ticket inside. Pop, dad, daddy and papa. No matter what you call your father is, make the third Sunday of June especially for him. Give you old man a hug and let him know how much you love him. This is just a once a year celebration, make this a moment worth remembering. Aubrey is a content editor at Scoopfed. She was a graphics artist before but she realized that she loves writing more. On her free time, she would still edit images for her friends and colleagues. Get to know her better through her social media profiles.